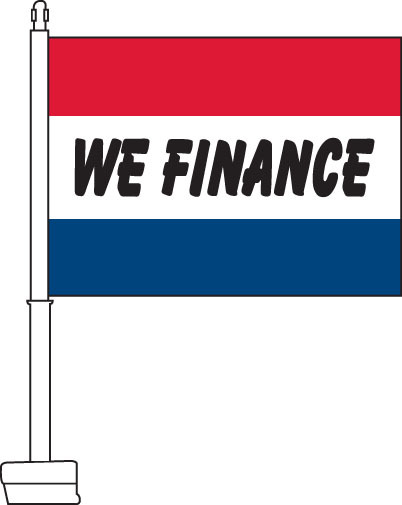 Our We Finance Car Flag has a tricolor design with a red stripe at the top, a white stripe in the middle and a blue stripe at the bottom. 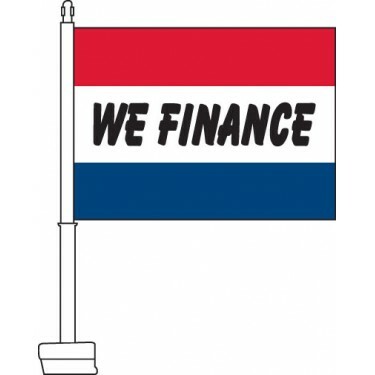 The words "We Finance" are emblazoned in bold black text across the middle of the flag. 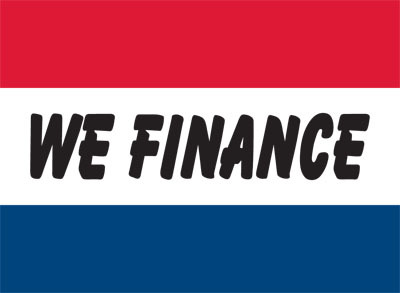 This flag is ideal for car dealerships seeking to promote the fact that they offer financing options. They can be used to decorate one car or an entire lot of vehicles where financing is available. If you are a car dealership then these eye-catching flags are the perfect way to promote attractive financing options.